Gambling in the former colony has boomed this year as high rollers defy China’s slowing growth and corruption crackdown. Most gaming stocks have doubled in the past twelve months. But disappointing results from MGM point to growing competitive pressures. 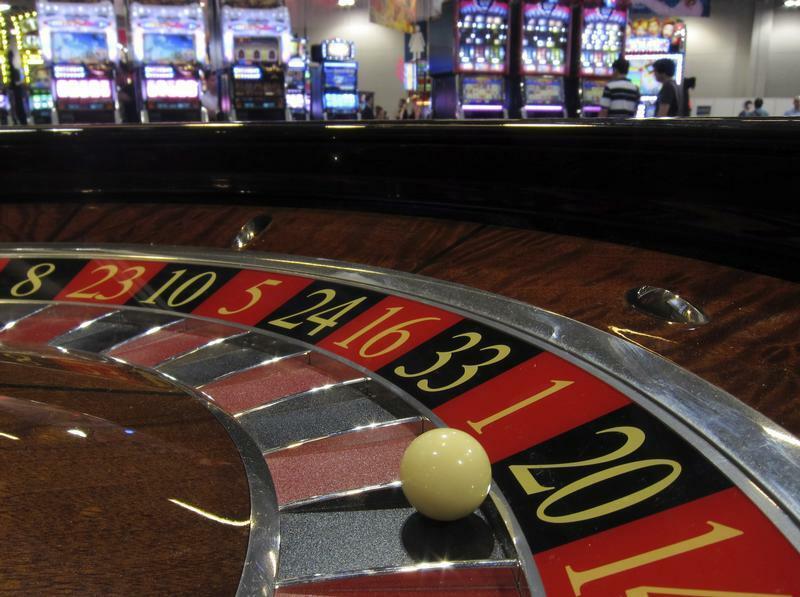 A ball is seen on a roulette wheel in front of slot machines at Gaming Expo Asia in Macau May 22, 2012. MGM China’s U.S.-based parent MGM Resorts International on Oct. 31 reported a loss of 7 cents per share in the third quarter. Analysts polled by Reuters had expected a loss of 3 cents per share. Revenue from MGM China’s VIP gamblers, the most lucrative portion of the casino’s turnover, was down 6 percent compared with the three months to the end of June. MGM’s U.S.-listed shares closed at $19.04, down 6 percent. On Oct. 18, Sands China reported a nearly 43 percent jump in net revenue to $2.3 billion in the third quarter from a year earlier, sending its shares in Hong Kong up roughly 9 percent on the day. Two thirds of tourists to Macau come from mainland China, according to the Macau government’s tourism office, and it is the only place in China where gambling is legal. October gambling revenues for the whole territory reached a record high of 36.48 billion patacas ($4.6 billion), up more than 30 percent from 2012’s numbers.